It is hard to believe, but it is again that time of year where we put together the highlighted pilots and aircraft for our annual Road to Top Gun presentation. This year is the 30th annual Scale Invitational hosted by Frank Tiano at the Paradise Field in Lakeland FL. With that said, here is our first sneak peek. Coming back to Top Gun, Eduardo Esteves of Lakeland, FL, will be competing with his new F-16 Fighting Falcon. The 1/5-scale jet is from the BVM Plug and Play F-16 package and Eduardo will be piloting it in the Pro Jet class. 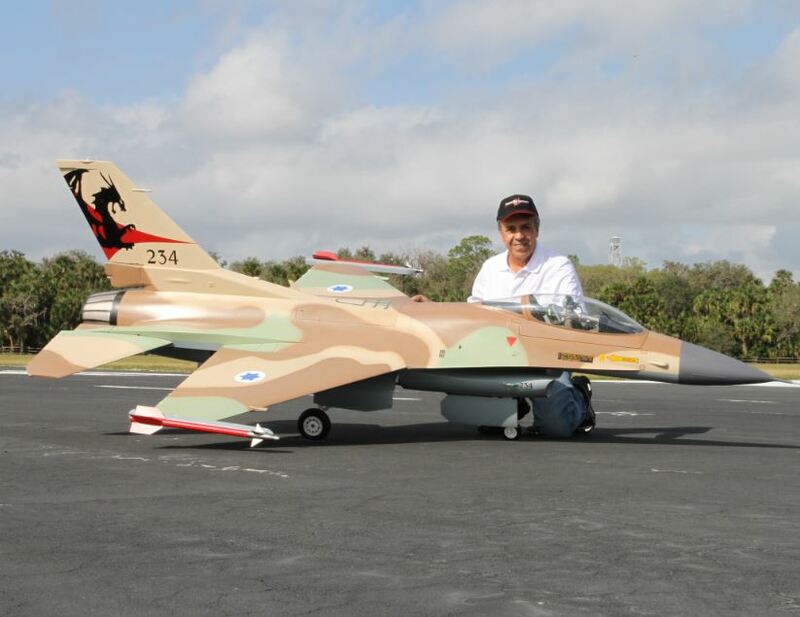 His new F16 is finished in the Israeli color scheme, and is powered by a KingTech 210 turbine. Eduardo is using a Jeti DS24 radio system and has installed a Bavarian Cortex Pro 3-axis flight stabilization system. His 1/5-scale F-16 is 120 inches long and has a wingspan 80 inches. It weighs 46 empty (no fuel).